I have this bad habit of buying mushrooms and then forgetting about them. I can’t tell you how many times I’ve dipped into the crisper only to find yet another ruined batch I’ve been forced to chuck out. The intention is always there to use them in a dish but I usually get sidetracked by something else and mushroom thought gets cast to the wayside. So I came up with a way to keep them around longer. 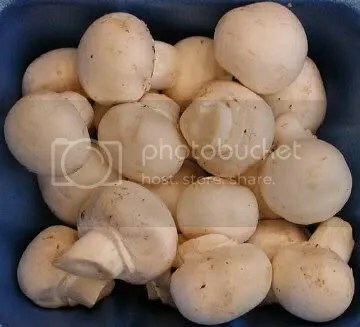 Wipe down the mushrooms with a damp towel to remove any excess dirt. Be sure not to rinse them with water otherwise it’ll make them soggy. In a small bowl add the vinegar and garlic and whisk together until blended. Slowly add the olive oil while whisking briskly so that it emulsifies. Add the cilantro, salt and pepper (as per your preferred amount) and mix till blended. Set mixture aside. In a medium sized resealable container (or a 1 liter mason jar) add the mushrooms then pour the mixture over them. Stir gently and to make sure all the mushrooms are coated. As with any marinated food, the longer you leave it marinated the more the mushrooms will absorb. Once you’ve devoured all of them you can use the remaining mushroom flavored vinaigrette on a nice field greens salad or something. Very versatile. Alt: Try experimenting with different herbs and spices. For example use fresh rosemary instead of cilantro to produce a very pungent but flavorful alternative. Also try different vinegars such as apple cider or red wine for a different kick to the vinaigrette. It’s all about having fun. I’m not a chef by any stretch of the imagination. I’m just a big guy who likes to eat. Rather than be dependent on someone else to do the cooking for me, I do it myself. This “recipe” is the result of having some rather large zucchini from the garden and being sick of making breaded zucchini (which I’ll probably post at some point). I usually never measure anything so the numbers below are estimates so adjust accordingly to personal taste. 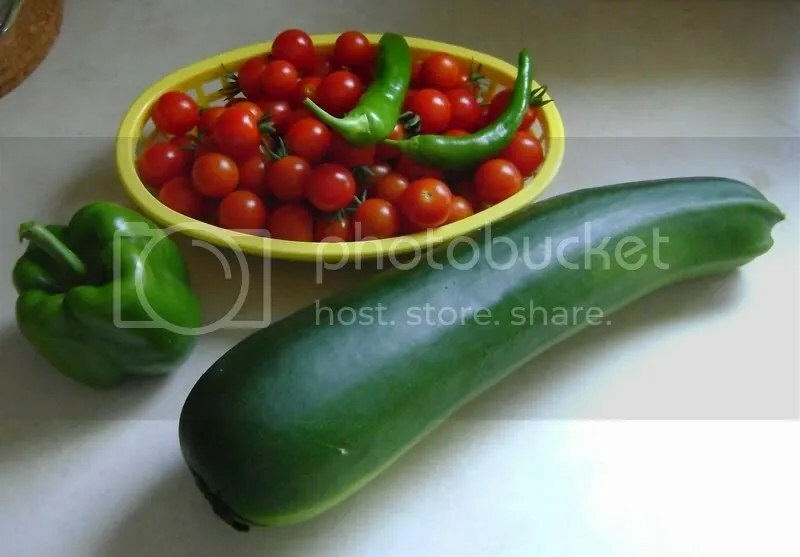 I've included this shot for scale so you can see generally how big of a zucchini we're talking about here. Remove from water and set aside to until cool. Cut the cooled zucchini lengthwise. With a spoon (or melon-baller) remove the pulp and set aside. In a medium sauce pan heat the olive oil on medium high. Add the garlic and onions and cook till the onions are translucent (approx. 3 – 5 mins). Add the zucchini pulp to the onions and garlic and continue to cook for another 5 minutes. Add the pasta sauce and mix well. Bring to a simmer once again then remove from heat. Line a cookie sheet (or baking pan) with parchment paper (or give it a quick spritz with cooking spray). 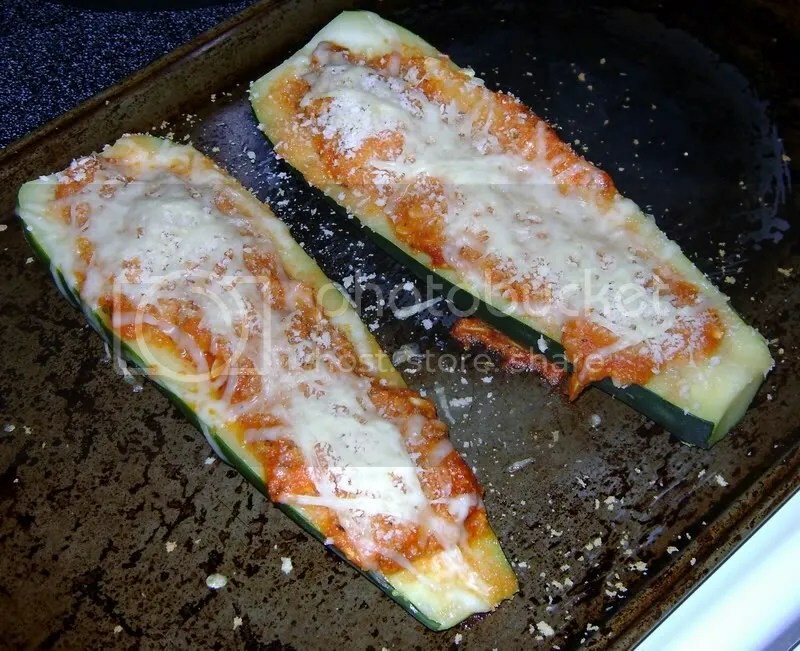 Place both halves of zucchini side by side. If your zucchini wobbles too much, use a sharp knife and slice a plane into the skin side so that it has a flatter surface. Be sure not to cut too deep though. Divide the mixture between the two halves and stuff away. Divide and top each with the mozzarella cheese. 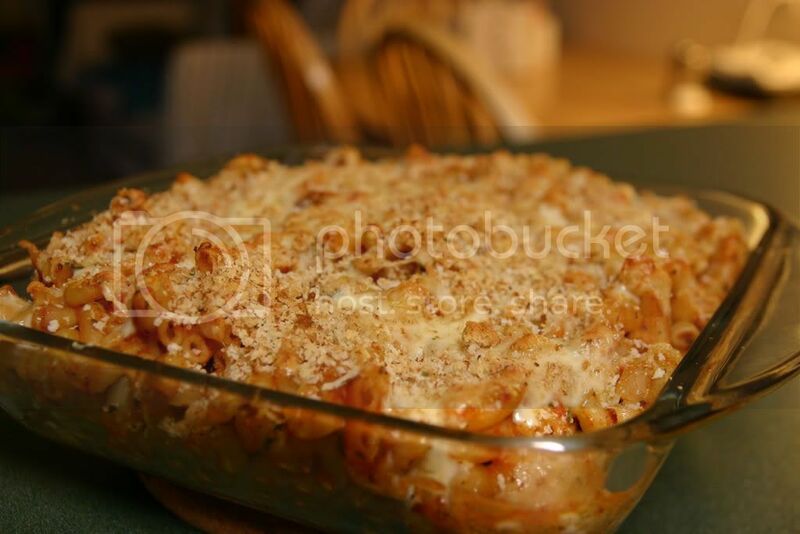 Place in the oven and cook for about 10 minutes or until the cheese is all gooey and melted. Optional – Top with minced cilantro/oregano/parsley/ or chives and serve. Alt: If you want to meat it up a bit for the carnivores in your life, add half a package of ground pork, chicken or beef to the onions while they’re cooking. Brown it off and continue with the next step. Yet another non-fancy vegetarian dish but it ranks high on the bad-weather-day-comfort-food scale. Don’t be afraid to experiment with different cheeses and potatoes. You’ll be pleasantly surprised with subtle changes like that. Melt butter and cook garlic on medium till softened. Add carrots and cook till glossy. Add broth and potatoes. Bring to a rolling boil on high heat then drop it down to low and let simmer for 20 – 25 mins. Use immersion blender to puree mixture until smooth. Add chives, sour cream, and table cream. Mix well. Add the cheeses and mix till blended. Serve hot with a dollop of sour cream and a sprinkle of chives.